Inflation in Ukraine in January 2019 was 9.2% compared to January 2018 against 9.8% in December 2018 year-over-year. 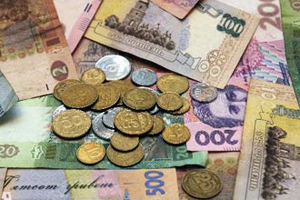 An increase in prices in January 2019 compared with December 2018 was 1% after a 0.8% increase in December 2018 compared to November 2018, according to the State Statistics Service of Ukraine. The highest increase in annual terms was recorded in prices of vegetables (by 34.5%), while fares of passenger transportation by road grew by 28.1% and rates for sewerage services by 24.1%. Tariffs on natural gas increased by 22.9% and those on the water supply were up by 21.1%, it said. At the same time, prices of fruit declined by 19.2%, those of eggs by 12.6%, sugar by 8.2%, fuel and lubricants by 1.9%. The country's core inflation in January 2019 was to 8.3% in annual terms and 0.3% compared to the previous month. The State Statistics Service says its report excludes information from the occupied areas in Ukraine, namely Crimea and Sevastopol, parts of Donetsk and Luhansk regions. As UNIAN reported, inflation in Ukraine in 2018 slowed to 9.8% from 13.7% a year earlier.